His DRUMS captivate! His MESSAGE saves lives! 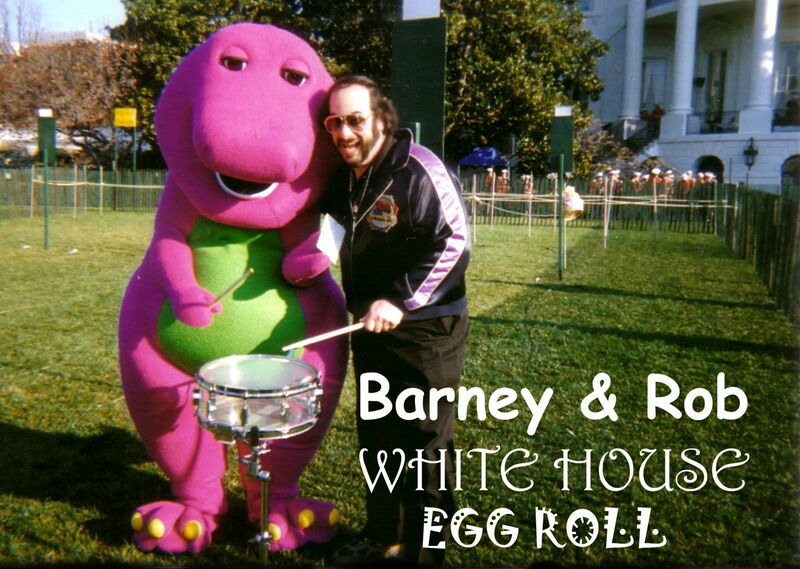 Rob Gottfried is a powerful percussionist described as a "One-man Edu-tainment Wizard." 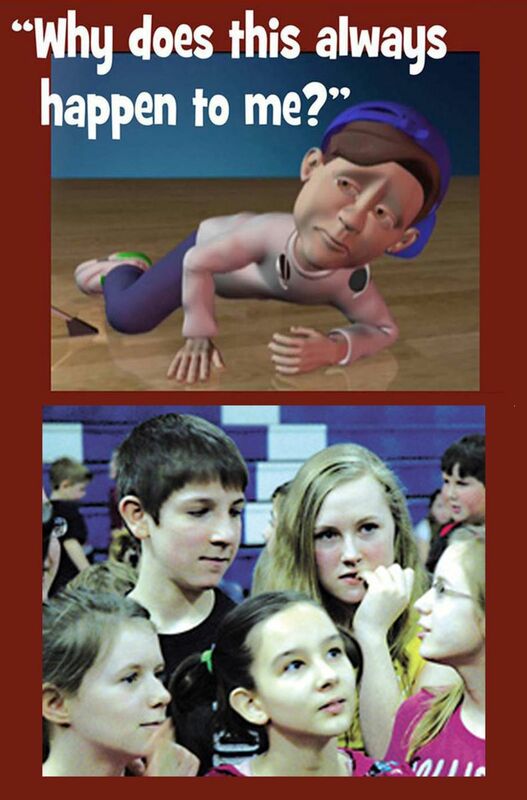 Rob’s K-12 “Be the BEST You Can BE!” school concerts target Anti-Substance Abuse, Anti-Bullying, Accepting Diversity, Pro-Arts, Pro-Sports, and building Self Esteem across the USA. Rob promotes the ARTS and SPORTS through a primal, powerful connection ... DRUMS ... to connect today's youth in K-12 School concerts, colleges, corporate seminars, EXPOS, and family festivals. The dynamic impact is long-lasting, addressing leadership skills, peer pressure, personal power, intervention and prevention of suicide, positive thinking, peer pressure, personal power, inner balance and leadership qualities for successful life skills and positive life choices. Audiences EXPERIENCE and FEEL his message... and NEVER forget! ~ "Kids, teens and adults get it!" ~ Student testimonials, Letters of Recognition from Principals, Superintendents, Law Enforcement Officers, State Representatives, and the Office of the Governor are creating a scenario that commands our attention! 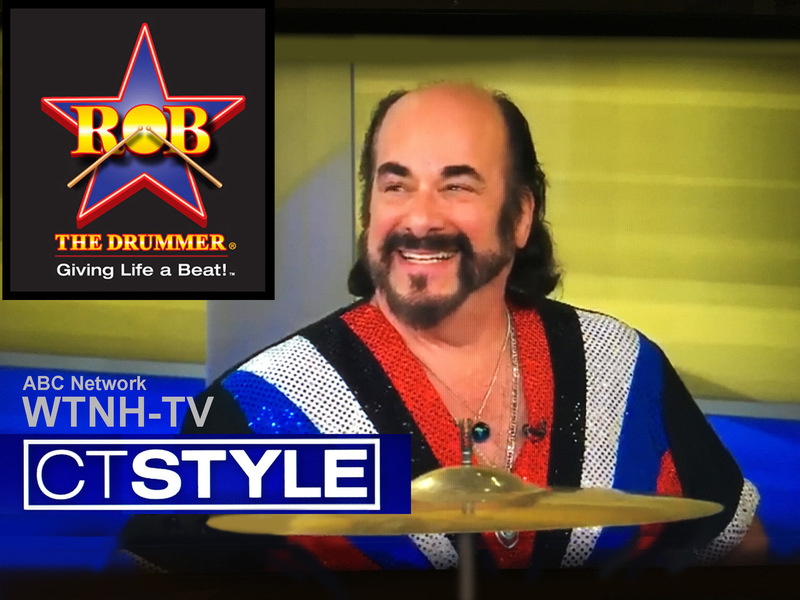 Based in Connecticut, Rob Gottfried, ROB THE DRUMMER has appeared on Sesame Street, the Nickelodeon Network, MTV, Romper Room, Kids World, Entertainment Tonight, and currently on ARIEL & ZOEY & ELI, Too, on NBC and PBS Networks. 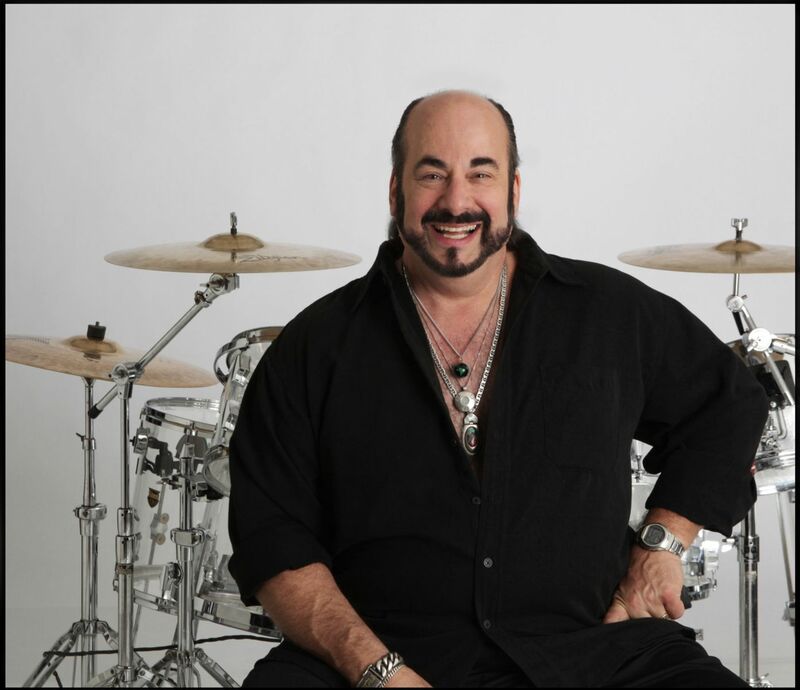 As a National and International Motivational Speaker, Rob has performed in Japan for the Yamaha Music Foundation, twice touring the Countries of Belgium and Russia, and performing throughout Europe in England, France, Italy, Germany, Lithuania, Latvia, and Switzerland. 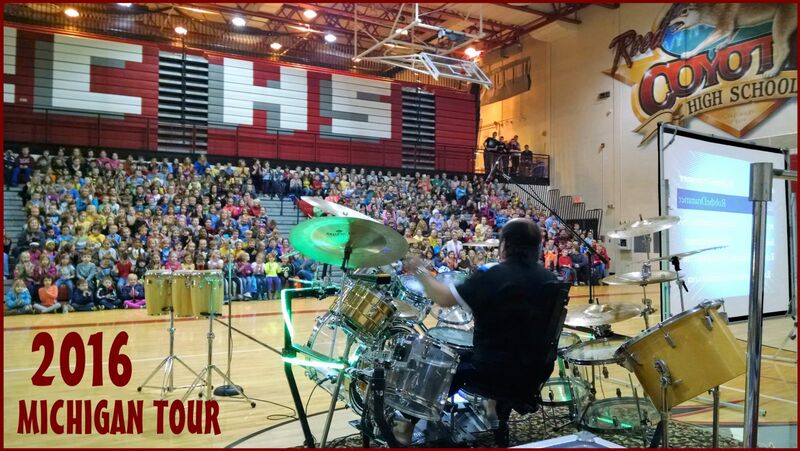 Rob Gottfried’s career is Tri-fold...Mentor & Motivational Speaker, Jazz/rock Artist and Percussion Instructor inspiring students of ALL ages! THE NATIONAL VISION ~ FOOTPRINTS of IMPACT! The forward-thinking vision and support of Dr. Roger and Coco Newton through The Esperance Family Foundation has enabled ROB for many years to use his primal instrument, the Power of Drums, "to reach out and make the call" in their home state, Michigan.... and reverberate and resonate in the Hearts of literally hundreds of thousands of young people. Michigan has become Rob's most prominent stomping ground and ... it is Rob's dream to spread his message to thousands of kids in many other states! 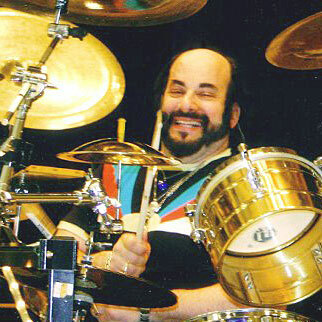 Honored to be a Winning contender in Carmine Appice’s “Best Rock Drummer of the United States” competition in LA, Rob has also recorded on Arista Records with notable Organist Larry Young (keyboard player with Miles Davis, John Coltrane, Lionel Hampton, John Mc Laughlin, and Jimi Hendrix), played at The Village Gate and Carnegie Hall for the Newport Jazz Festival. 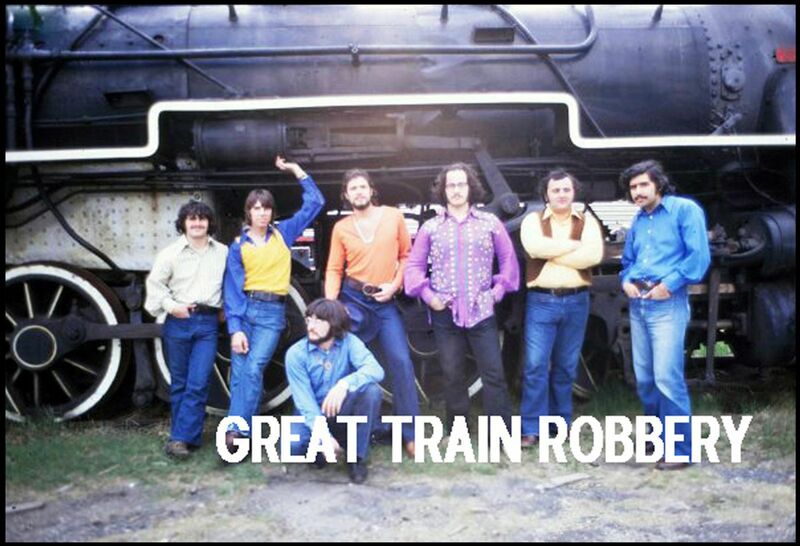 Historically, as a Jazz/Rock recording artist, Rob played with "The Great Train Robbery," an 8-piece Jazz-Rock horn group touring throughout the country as New England's "Battle of the Bands" Award winner! and has recorded several CDs with "Guitar Queen" Desiree Bassett, lead guitarist for the Michael Jackson IMMORTAL World Tour by Cirque du Soleil. The great Russell Kleinknecht joined Rob in many musical adventures over an approximate 30 year period, capped by his wonderful solo effort ~ "Out of My Hands." Unfortunately, Russell left us all too early...but not before finishing the production of SECRET SIGN ~ featuring the luminary talents of master guitarist Tom Majesky, renowned bassist Dave Stoltz, jazz-master keyboardist Kent Hewitt, superb Latin-percussionist Jose’ Goico, and the extraordinary Jimmy Biggins on sax and flute. 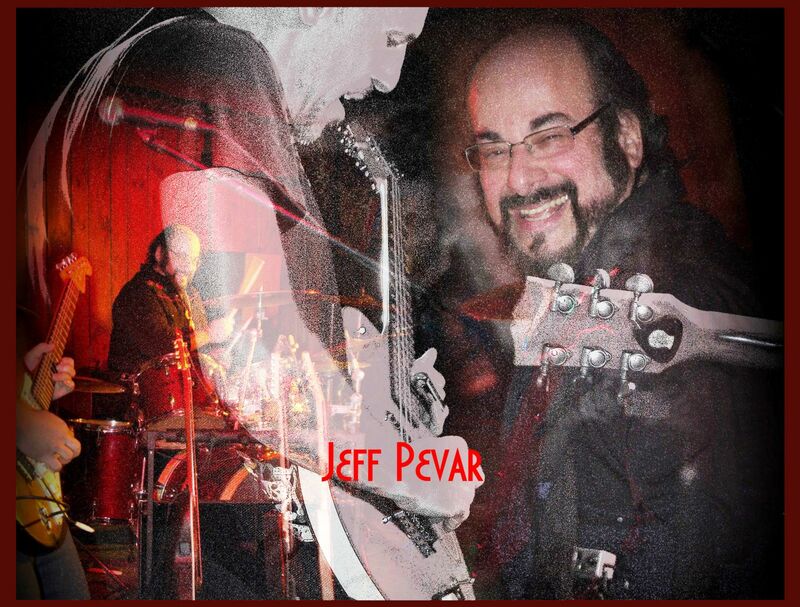 Rob also recorded with soulful master Grayson Hugh, The Band “Holding Pattern” ~ Breaking the Silence, Guitarist Tony Spada's epic Prog - Rock piece, and Accountant to the Stars, Alan Friedman, who always surrounds himself musically with an all-star line up. BIG BIRD’S introduction started it all on Sesame Street as a guest star for six rhythm segments. 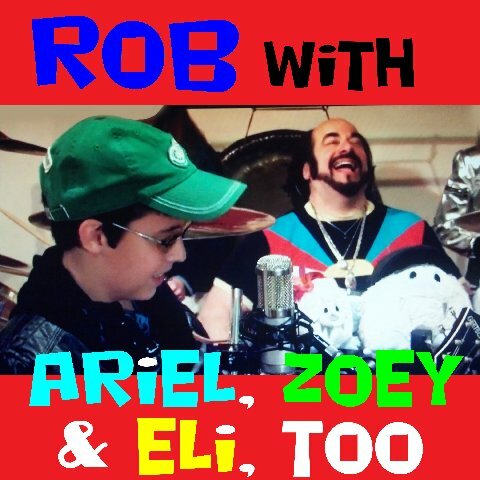 “Hey kids - Here comes ROB THE DRUMMER!” Additional highlighted television appearances are Nickelodeon's ~ "TOTAL PANIC" and Michigan's current ARIEL & ZOEY and ELI, TOO Children's Show. In 2002 - PBS Television, through the affiliate CPTV in Hartford, CT acclaimed Rob's talent, dedication and life's work worthy of a LIFE DOCUMENTARY. "In case you haven't heard, West Hartford's ROB THE DRUMMER (Gottfried) is King of the "Pro-Arts, Pro-Sports, Anti-Substance Abuse, Self-Esteem beat! Having played Carnegie Hall himself (not to mention Sesame Street) Gottfried derives ore satisfaction from the idea that he's changed lives. His seminal message - that the habit of enhancing the best times of our lives (and salving the rest) with drugs "has got to stop" - has distinguished 20 years of tireless school appearances, three White House appearances and a CPTV Life Documentary highlighting Wynton Marshals." 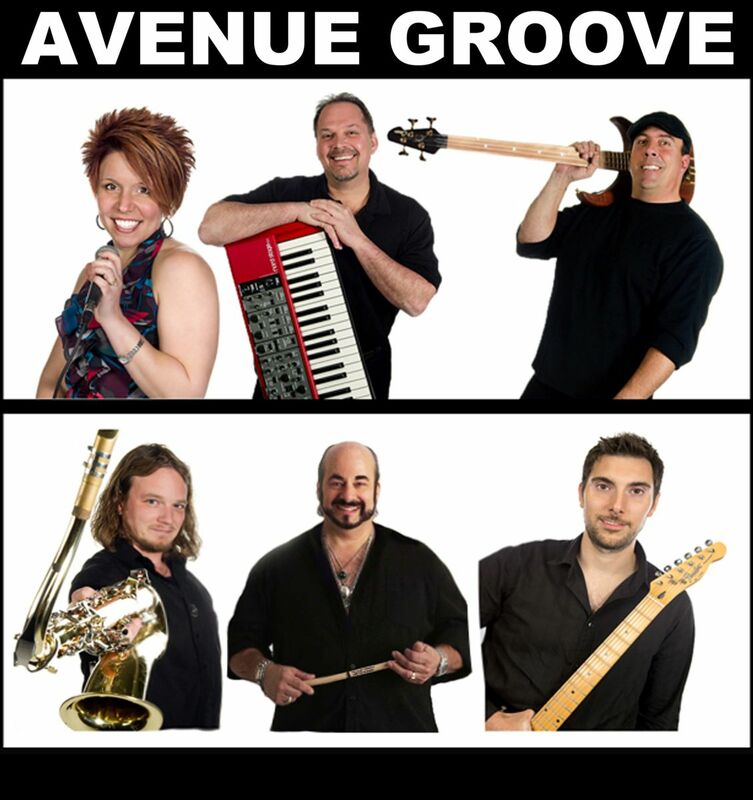 Rob currently plays with Connecticut's great Funk-Dance Band, AVENUE GROOVE. 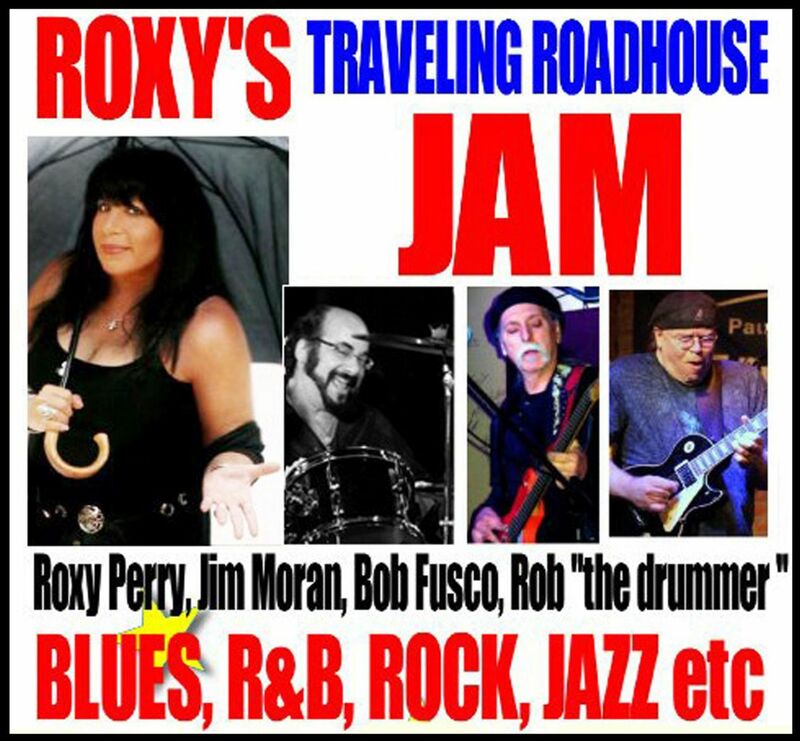 http://www.avenuegroove.com/ Rob has a great history with bass player Peter DeFazio and so enjoys the family environment of this wondeful dance band. ROB’S Family history paved the pathway for Rob’s life’s work and, ultimately, his creation of the “ROB THE DRUMMER” children’s character. 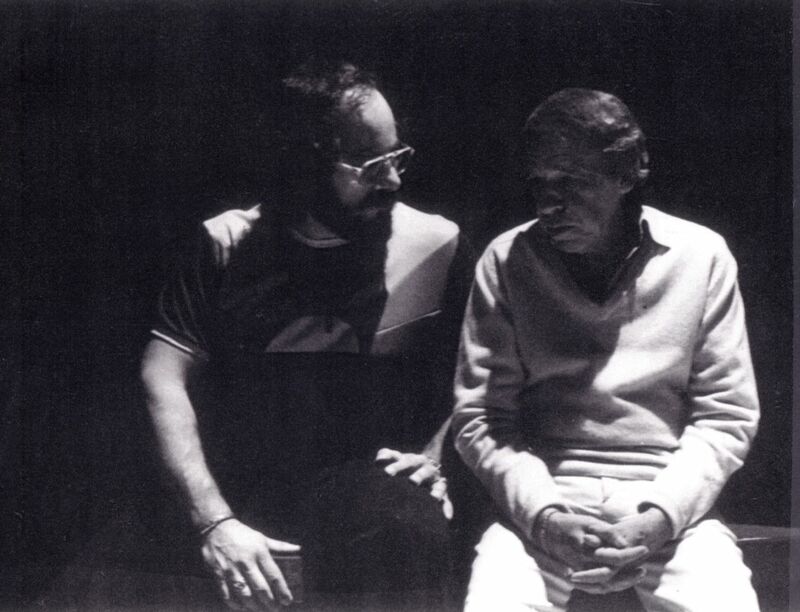 ROB’s father, Murry Gottfried, was a key inspiration in his life for both his music and his message. 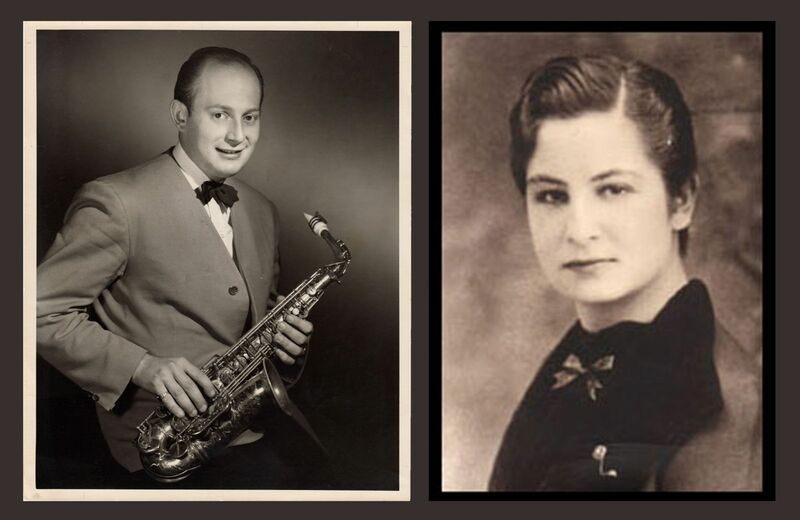 A highly regarded clarinet and alto saxophonist, Murry was described as the “New England Benny Goodman,” and performed in the 40's with the successful big bands ~ Paul Whiteman, Bunny Berigan, and Ray Kinney. His sudden death at age 47 from a life-long addiction to cigarettes, nicotine, and ultimately the devastation of lung cancer, strongly affected Rob’s life, and ultimately, the inspiration for his anti-substance abuse career. Rob's mother, Beatrice, was often referred to as the "Queen" by loving friends ~ a Journalism Major receiving 5 years Scholarship as a Phi Beta Kappa recipient from Syracuse University, NY. As a college sophomore, his father’s strong encouragement to pursue his love for music drove Rob to pursue the first triple independent major in psychology, philosophy and music at Quinnipiac University. Many of Rob's contemporaries turned to drugs to seek a higher consciousness or to escape the pressures of the military draft and of the late 60's. Murry’s untimely death forced Rob to confront many serious life questions. The impact of Rob’s father’s nicotine-stimulant addiction guided him to pursue natural perceptual change through meditation, performance in the arts, and athletics. Rob refused to allow any substance to rule him! 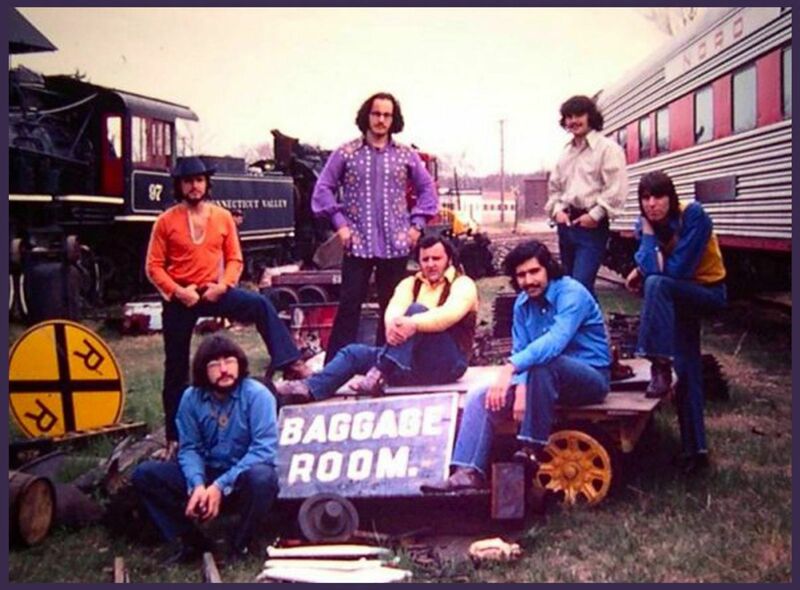 Following college, Rob pursued a music career through its many facets. He toured nationally with the musical "Oh, Calcutta!" and recorded on Artista Records with the late organist Larry Young. Rob also gained a reputation as one of the East Coast's top drummers, holding the drum chair in several bands including the New England "Battle of the Bands" award winning "Great Train Robbery" Horn Band. 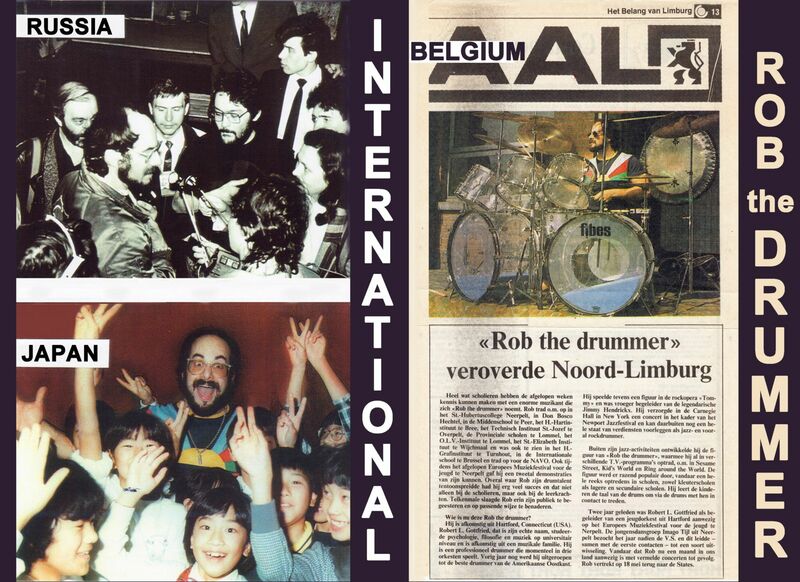 TURNING POINT: At age 25, Rob had his first direct opportunity to share his philosophy with kids when an educator colleague asked him to talk to his junior high school class about drums. As related in Modern Drummer Magazine . . . Rob states, "As soon as I started to play, I saw that I had the attention of even the wildest kid. I would later understand that it was because drums are primal and non-verbal. Drumming is a much deeper experience than anything you would approach on a verbal level. I then realized... 'Why not use this as a way of making a connection? Communication was big in our family and I wanted to continue that to feel connected." 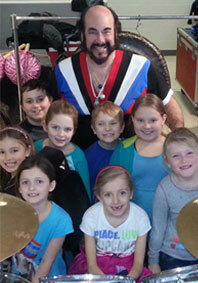 DRUMMING OUT DRUGS: Rob’s career crystallized on Sesame Street with a resounding introduction from BIG BIRD ~ “Hey Kids! 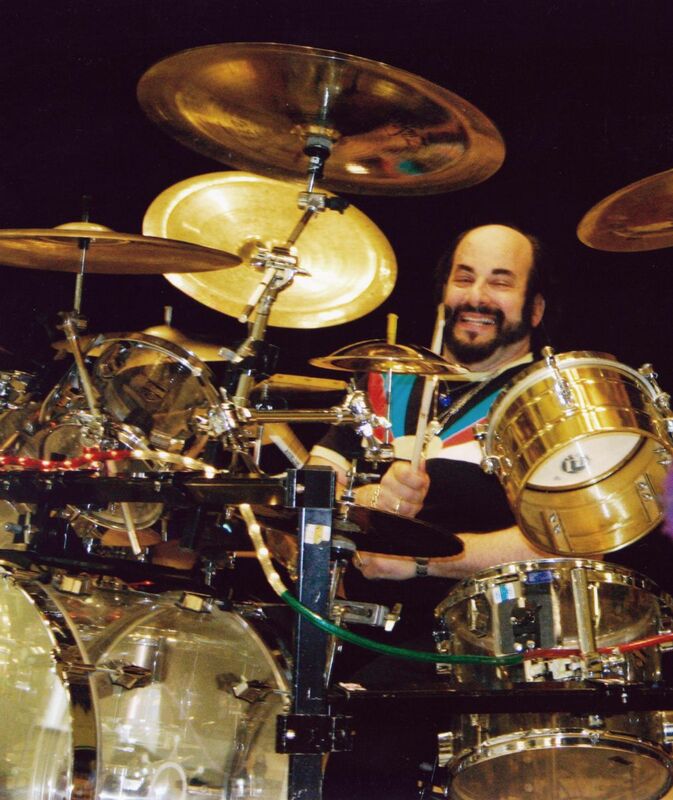 Here comes ROB THE DRUMMER!” As a guest artist for six rhythm segments, BIG BIRD applauded him, along with Gordon and Maria at his side, as he played his clear plexi-glass drums…the real life “Animal!” Rob has been connecting with audiences ever since. His renowned mentor and most famous drummer, BUDDY RICH, encouraged him to strive for success. 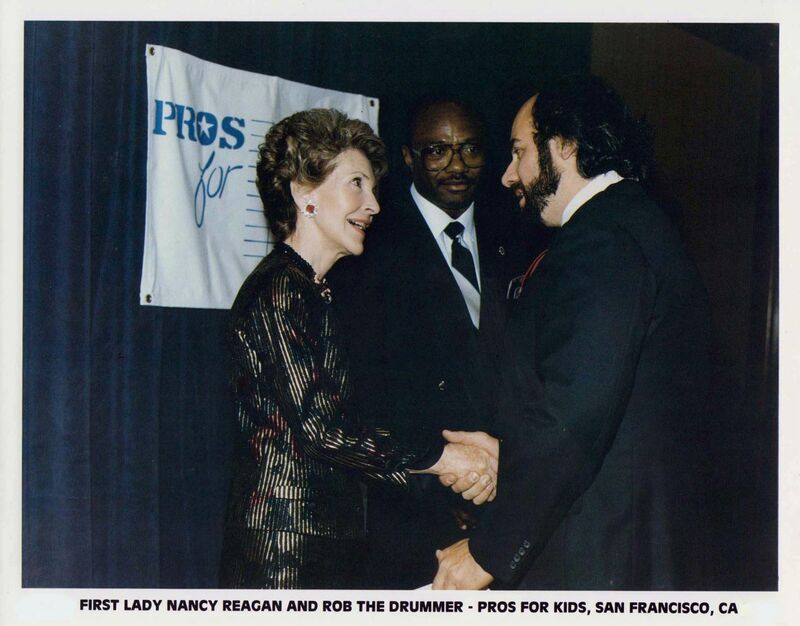 ACCOLADES COAST TO COAST: In 1986, Rob rallied as an Anti-Substance Abuse advocate for Nancy Reagan's "Pros for Kids – Just Say NO!" campaign In San Francisco. He continued to develop his ROB THE DRUMMER character to the status it has become today ~ an Internationally recognized performer, Role Model, and motivational speaker for audiences across the United States. 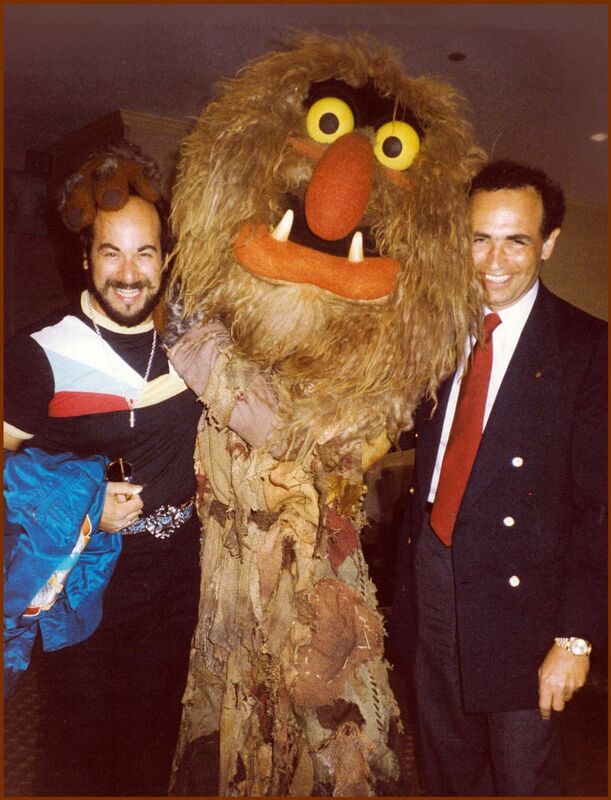 After Sesame Street, Rob appeared on Kid's World, Romper Room, Evening PM Magazine, Nickelodeon's Total Panic. MTV and Entertainment Tonight. He is currently featured on “ARIEL & ZOEY & ELI, Too” on the NBC and PBS Networks. In 2002, PBS Television Network, through it's affiliate CPTV in Hartford, CT acclaimed Rob's 25 years of dedication to the fields of Percussion and Anti-Substance Abuse with a LIFE DOCUMENTARY, featuring testimonials from world renowned trumpeter, Wynton Marsalis. 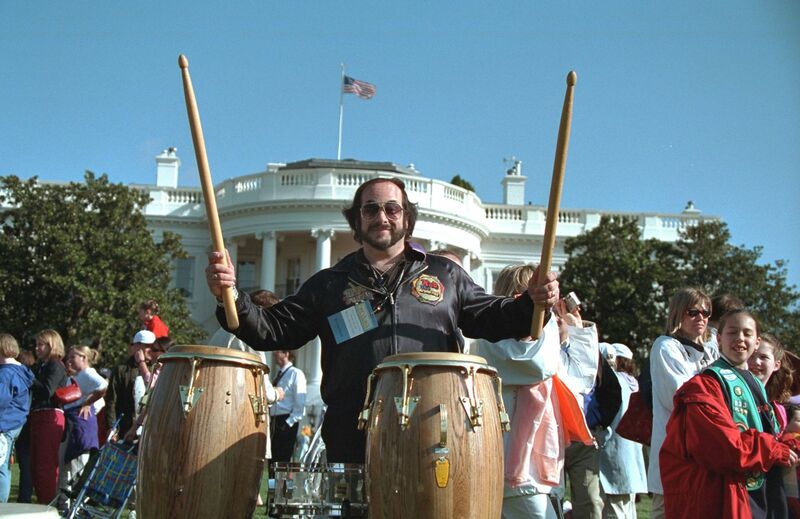 Rob was the honored Guest Artist & Percussion Coordinator for FORTUNE Magazine's GLOBAL FORUM 2002 Power of Leadership Seminar in Washington, DC., entertaining the highest of dignitaries. 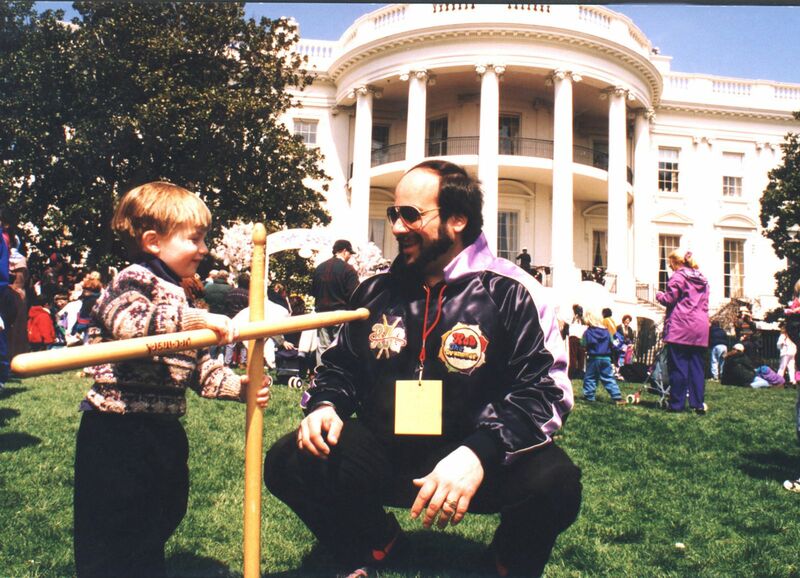 The outgrowth of his dynamic Anti-Drug, Self-Esteem message for children prompted his third Presidential Invitation to the White House for the 2002 Easter Egg Roll. He has been the honored Keynote Speaker/Performer for the World Scholar-Athlete Games – University of Rhode Island, the Maine Health Promotion Wellness Conference Sugarloaf/USA, the TREND 2000 National Conference - National Council on Alcoholism and Anti-Drug Abuse, The KICK BUTTS 4-Day Concert Tour & Rally – Wyoming 2000, Guest Percussionist for the 2003 Junior Achievement National Hall of Fame Laureate Awards, and Keynote speaker at the 2004 Boys & Girls Club National Convention in Minneapolis, Minnesota. Rob was honored as the Master Instructor at The Salvation Army 2004 Project 21st Century Learning Campus. 2008, 2010, 2012 and 2014 highlight Rob's invitational performances by the Bank of America Arts Showcase at the Providence Performing Arts Center. Mayor Anthony Bosbous officially proclaimed March 4, 2011 Sault Ste. 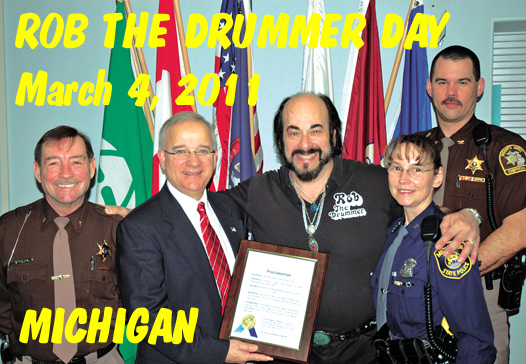 Marie, Michigan as ROB THE DRUMMER DAY! ... Dedicated to my dear, late friend, Russell Kleinknecht ~ for his vision, love and support. Russell’s left and right brain balance, excelling in both Business and the Arts, made him Legendary to all that had the honor and pleasure of knowing him. 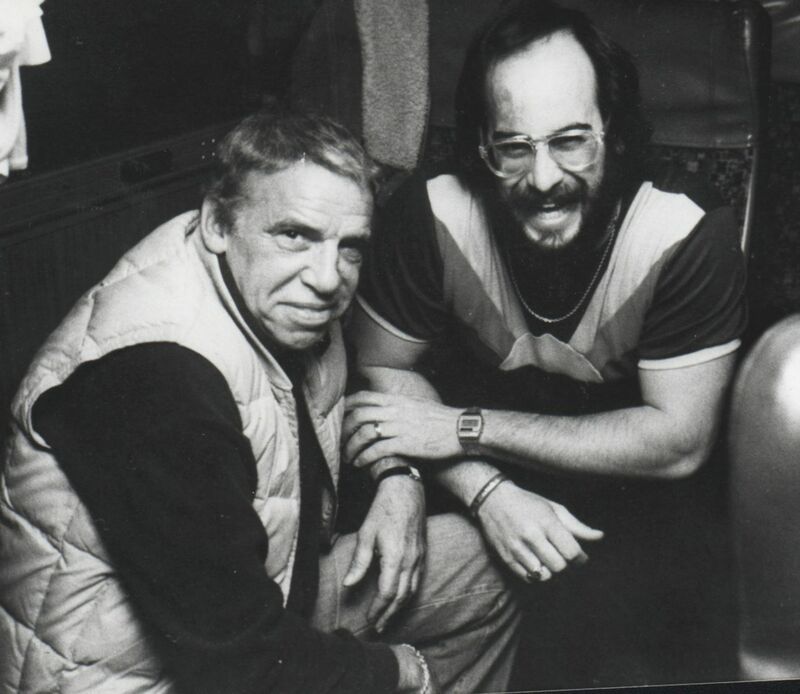 He was…truly unique….and His Friendship, as my Brother, is sorely missed…as are the deepest shared laughs I’ve ever encountered!! ANTI-DRUGS ~ ANTI-BULLYING... 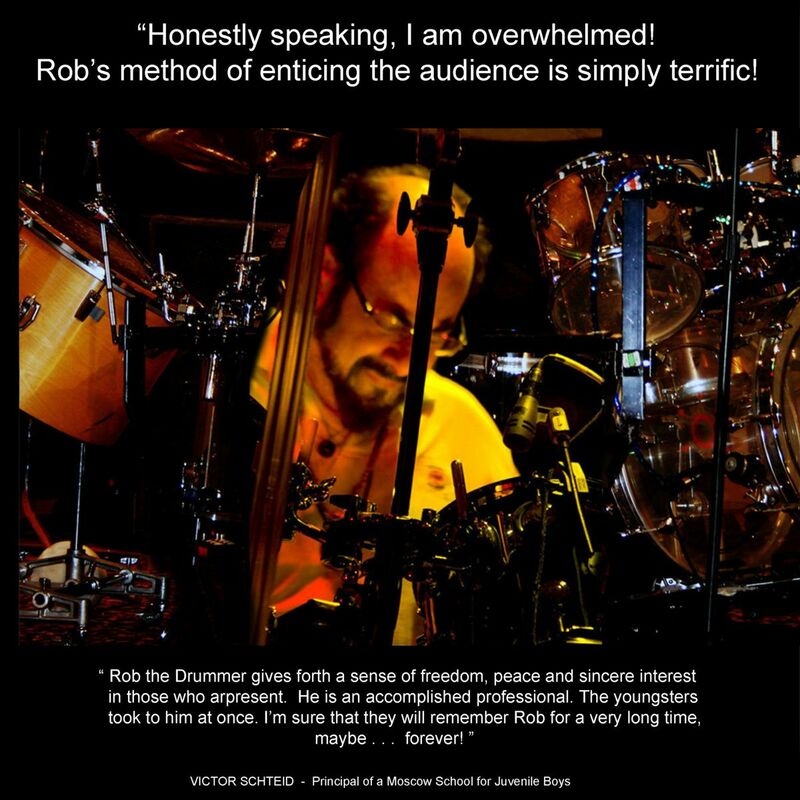 Rob's DRUMS captivate and inspire self esteem! His INTERVENTION / PREVENTION MESSAGE saves lives! 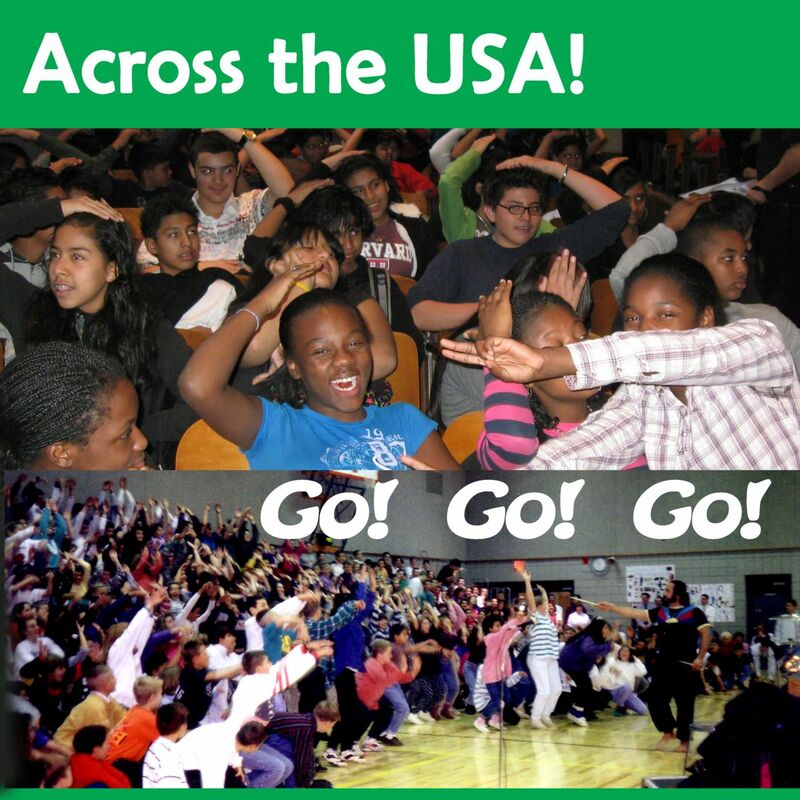 His K-12 “Be the BEST You Can BE!” school concerts target Anti-Substance Abuse, Anti-Bullying, Accepting Diversity, Pro-Arts, Pro-Sports, and building Self Esteem across the USA! 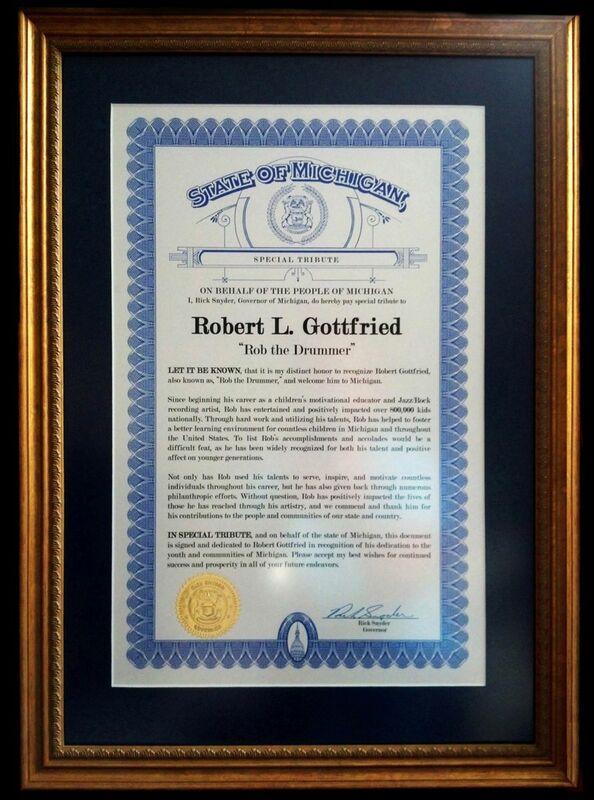 Robert L. Gottfried, ROB THE DRUMMER is a Motivational Speaker, Mentor, Role Model and Jazz/Rock Percussion Artist. Copyright ©2019. | ROB THE DRUMMER | All Rights Reserved.